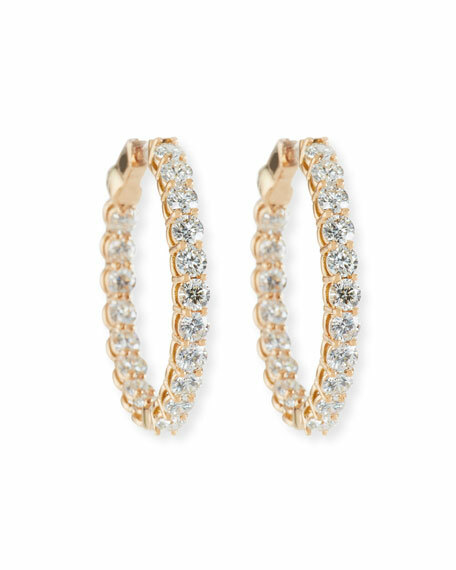 NM Diamond Collection hoop earrings by American Jewelry Designs. Prong-set white FG/SI1 diamonds trim inner and outer hoop. 3.99 total diamond carat weight.